Climate change is affecting water supply, water management and the health of communities in U.S. cities. Changes in the timing, frequency and intensity of precipitation are placing stress on the built and natural systems that provide fresh water, manage storm water, and treat wastewater. Droughts are shrinking the water supply; heavy rainfall overburdens storm water systems, causing flooding in homes and neighborhoods. Low-income people and communities of color are often the most vulnerable to climate change, living in low-lying areas and lacking the resources to adapt and cope with challenges associated with these patterns. The cumulative impact of climate change on water resources not only leads to a reduction in water quality and the destruction of homes and property, but it can also be a threat to public health, force relocation of communities and cause economic harm. 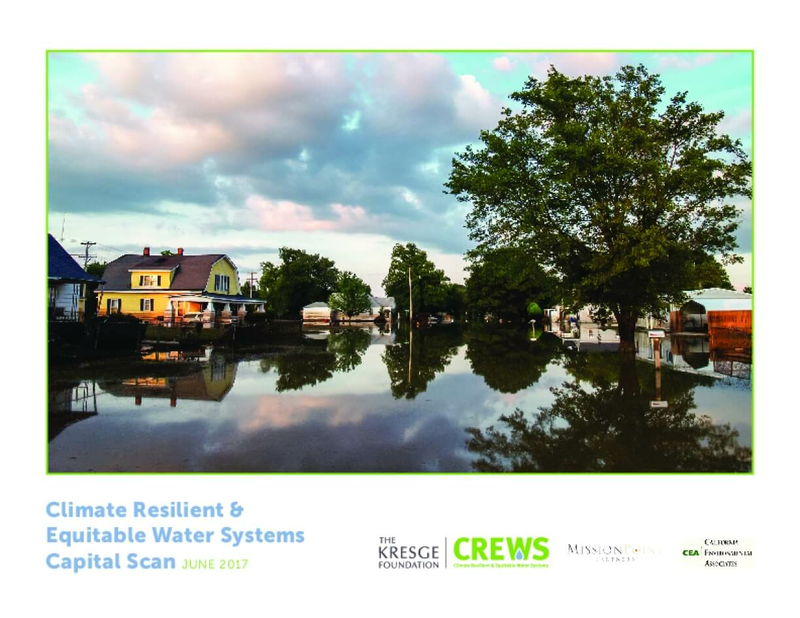 The vision of Kresge's Environment Program is to help communities build resilience in the face of climate change. We believe that cities are central to action on climate change and equity must be a fundamental part of our work in climate adaptation, climate mitigation and building social cohesion. Copyright 2017 by The Kresge Foundation. All rights reserved.